HOME Real Estate began as Austin Realty in 1938. Founded by Edith and Henry F. Austin, the firm started with one office and five sales associates. Gerald L. "Jerry" Schleich became the sole owner of Austin Realty in 1966. During his ownership Jerry not only dramatically grew the company, he also served the real estate community in many leadership roles. We strive to deliver an unparalleled home buying and selling experience to each and every customer to ensure customer satisfaction every step of the way throughout the entire home ownership life cycle. The company's name was changed to HOME Real Estate in 1989, and over the course of time Jerry's sons began to take over management of the many facets of the company. Residential real estate sales were always the mainstay, but property management became a focal point in the 1980s when sales were slow, and land development became the driving force in the 1990s and early 2000s. Over 50 residential subdivisions have been developed by HOME Real Estate. Lot sales and new construction sales propelled HOME Real Estate into the dominant leadership position in residential real estate. In 2003 HOME Real Estate joined forces with Home Services of America Inc., second largest full-service independent residential real estate brokerage firm in the United States, made up of premier real estate brokerages across the nation. Under strong local leadership, all the entities of HOME Real Estate have grown dramatically. 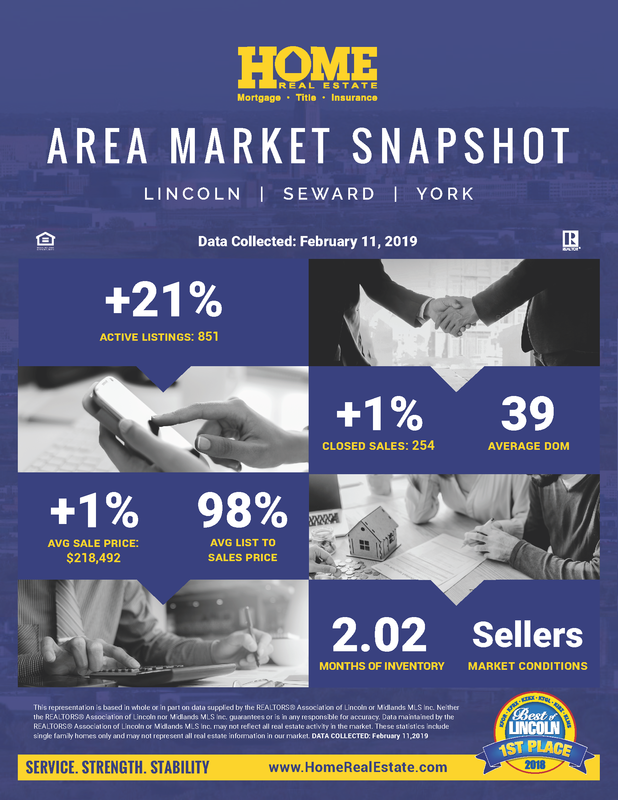 The real estate brokerage company has grown from 5 to nearly 300 REALTORS and is indisputably the largest and most successful real estate company in Lincoln. HOME Real Estate's focus is on excellence in service. The initial $400 investment made by Henry and Edith Austin has grown into the largest real estate firm serving Lincoln and a supporting network of HOME offices across the state of Nebraska.